‘NetNet: 10 true ghost stories, carnivorous goats, cracked.com, a mechanical cat-beast, elves, Joan Fontaine, Bigfoot. For the past two weeks, the internet has been obsessed with Christmas. That’s cool. Still, I’m afraid #NetNet is a little on the light side this week. Hey, side-note, is anyone else having a lot of trouble with images being squished when you post them? It’s driving me crazy. It feels like I’m not doing anything different than I used to, yet half my pics, half the time, are all distorted. Of course there doesn’t seem to be any predictable pattern to it. Get details on the offer at his blogspot blog, The Haunted Computer or at his home page. Scott may be one of the most prolific authors working in the horror field today. Personally, I’ve read The Red Church & The Manor – both of which were great. I’ve got a lot of catching up to do though. Take a look at his NINE pages of offerings over at Amazon. Cracked.com is one of my guilty pleasures because of stuff like this: 7 News Stories That Are Clearly Just Horror Movie Premises. I absolutely love that Johnathan Janz, author of some of my favorite, genuinely disturbing horror novels, can make me laugh hard enough that I snort soda out my nose. Go read Measure Never, Cut Once (or The Beast under the Tree) But put down your coffee or pop first. THE SWEET: Ray Yanek is back in the collection for the second installment in a row with his piece, A Christmas From My Son. It’s really lovely, especially if there’s any part of you that knows (or worries) childhood is too fleeting. 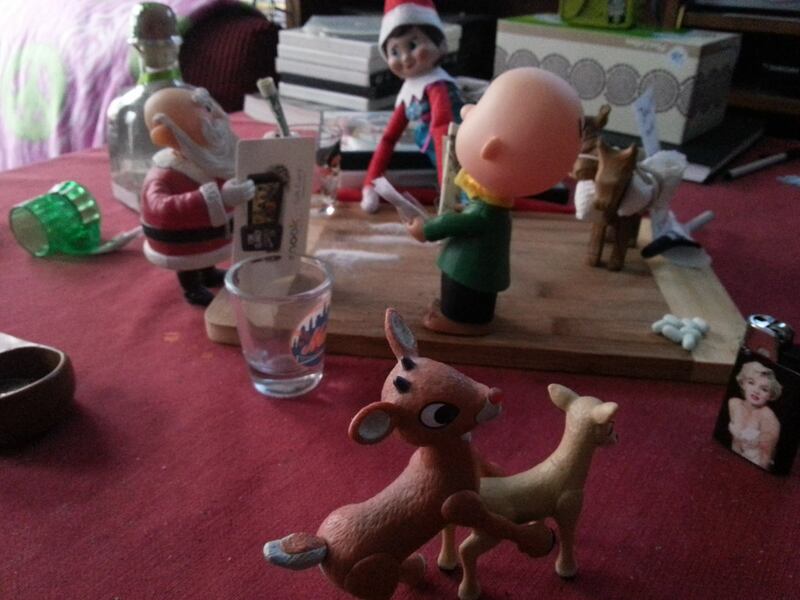 THE NOT-SO-SWEET: Hunter Shea’s elf appears to be a bad influence. I stole this pic from his Facebook page. There are more. Mrs. Horror Boom made a really nice tribute to the late, great Joan Fontaine, star of Rebecca. Go pay your respects. There is no way I’m going to capture every great thing that happens in my personal web, let alone on the wider internet. The posts I feature here just happened to catch my eye. They resonated with me and whatever is going on in my life right now. And they are worth sharing. love Hunter Shea’s christmas party! I’m always torn about visiting ghost story sites. While on one hand, I love reading them, on the other, I’ve been deceived in the past into visiting pages with moving images and pop up sounds that are just not fair. Glad to see a master list of good material that doesn’t feel the need to make me jump with cheap scares! You know, you’re right. I hadn’t really thought about how valuable Ghosts & Ghouls is … I’ve been getting my stories from her for so long that I forgot about the irritating sites out there. 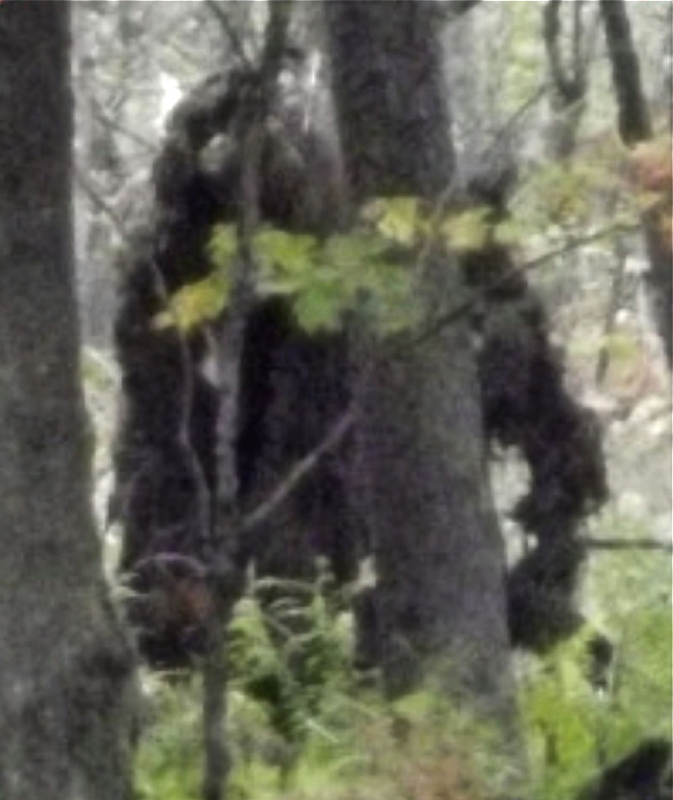 Thank you for the year in Bigfoot link! Can’t believe I had missed it. Sometimes I put stuff in here (mostly) just for you, Hunter. You’re welcome. It warmed my heart to read the Elf on a Shelf story. My 8 -year-old, on the other hand, had great anxiety about her elf. Maybe that’s a blog post I need to write! You can find Renae on Google+.